Why Is Cosmetology Important to Society? According to the U.S. Board of Labor statistics, 825,000 people work in the cosmetology industry as barbers, skin-care specialists, hair stylists and nail technicians. While cosmetology is big business in large, densely populated cities and states, even the smallest towns can have at least one barber shop or salon. As cosmetologists continue to train for new and in-demand techniques, their services are considered important by many members of society today. 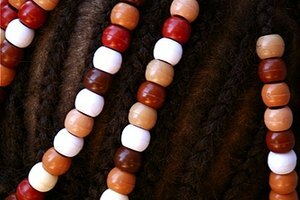 Across many cultures, hair stylists have been held in high esteem for their services, which often were intertwined with religious beliefs or fashion. Those responsible for grooming nobility and clergy were expected to be knowledgeable and careful; barbers and stylists could not have a reputation for being careless with a member of high status. As in cosmetology today, stylists had to change techniques and obtain new skills as styles came and went. Styles often changed based on those worn by members of royalty or high economic status, and business was best when it could serve a large portion of the population. Barbers and cosmetologists still are considered important in society today as they continue to train and learn to create a number of styles and looks that the average individual may not be able to perform herself. Most states require licenses and extensive training before performing cosmetic procedures like cutting hair and sculpting nails. Market demand requires frequent training and refreshers to ensure the safety and satisfaction of patrons. While there may be little difference between what a cosmetologist and a barber have been trained to do, there generally are limitations to which services they can perform. Most barbers have received training on cutting women's hair, coloring and perms. 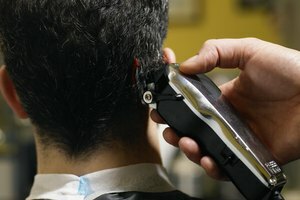 Barber shops, however, often limit services to cutting men's hair, beard trimming and scalp treatments. In most states, only barbers are allowed to perform beard shaving; stylists are trained for both men's and women's cuts, coloring, and manicure and pedicure services, but are often not permitted to shave beards. Aside from hair styling, cosmetologists can also specialize in nail design, skin care or makeup application. Home beauty products continue to flood the market, but some are too difficult or risky for individuals to perform on themselves at home. For example, while the materials for applying acrylic nails can be purchased in many retail stores, without prior experience or salon tools the quality may not be the same as nails applied in a salon, and there may be potential for damaging the nail bed or cuticle. The same principles may apply to hair color and skin-care services; sometimes the best look and quality are obtained from a trained stylist or cosmetologist. As aesthetics change, cosmetologists continually learn new procedures and techniques. For example, as spray tanning has become an alternative to damaging the skin with standard tanning techniques, many cosmetologists have added spray tanning to their repertoires. With expansion of services, many cosmetologists continue to seek additional licenses for laser hair removal, the application of skin peels and massage. Others continue to practice with new hair implements and dyes as they come into fashion. These are some ways cosmetologists stay prepared to help their clients look and feel their best.